The Federal Reserve has tremendous influence over our economy. Although our communities continue to suffer through a weak recovery and economic inequality keeps growing, corporate and financial interests are demanding that the Fed put the brakes on growth so wages don’t rise. There is a real danger that in early 2015, the Fed will cut the legs out from the recovery before the economy reaches full acceleration, costing our communities millions of jobs and workers tens of billions in wages. 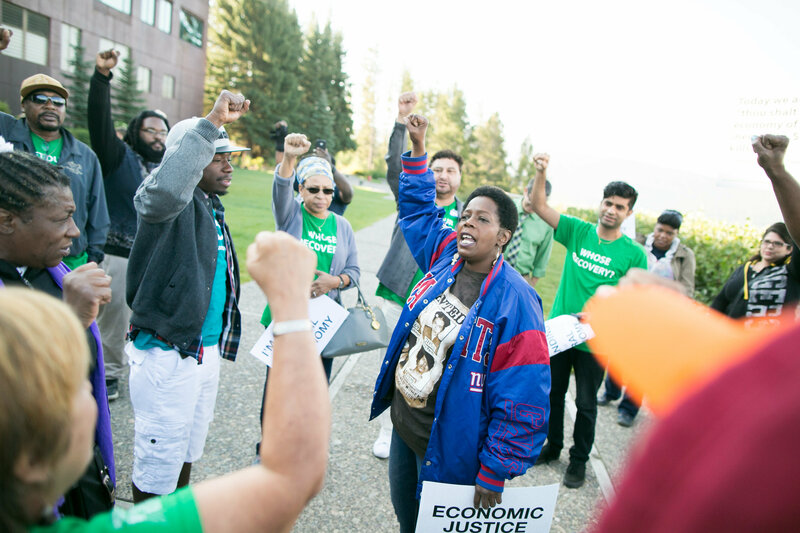 But for the first time in recent memory, community organizations, unions, and consumer advocates are mobilizing around the Federal Reserve for a national economic policy that prioritizes full employment and rising wages. Organized by the Center for Popular Democracy, over 70 non-profits, community based organizations, and unions representing millions of people from every region of the United States have recently called upon the Federal Reserve to reject recent efforts to raise interest rates and to instead adopt all the policies necessary to rapidly reach a full employment economy. Janet Yellen, the Chair of the Fed, gets it: she knows that the economy remains too weak, with stagnant wages and too much un- and underemployment . But Yellen works with a group of 18 other Fed officials who together make the decision to set interest rates, and now a growing number of them are flexing their muscle and claiming the economy has fully recovered to justify raising interest rates and slamming the brakes on the economy. Those bankers refuse to see how bad the economy still is for most of us. That’s why our coalition has come together: the Fed needs to hear our voices. The Fed’s job is too important for us to let bankers and financial interests dominate the conversation. The Fed needs to know, it’s not just the rich who are watching them, but now, we are too. And we’ve already started to be heard. 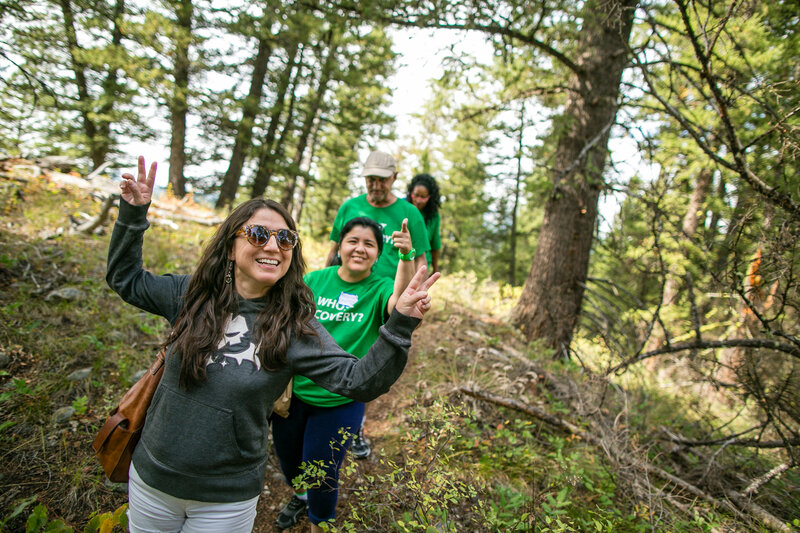 On August 21, 2014, for the first time in memory, unemployed and low-wage workers had face-to-face engagement with the nation's most powerful economic decision-makers at the Fed’s annual conference in Jackson Hole. 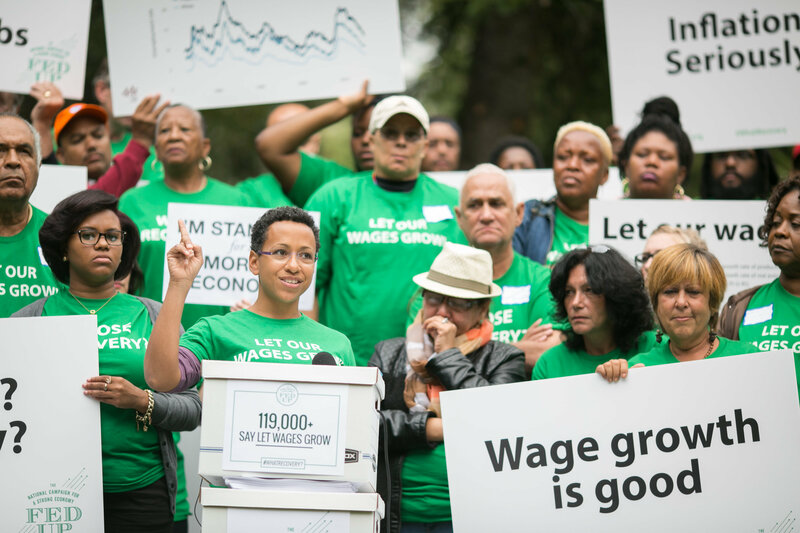 A group of 10 activists -- brought together by the Center for Popular Democracy and our core partners around the country -- shared our experiences in the economy as unemployed, underemployed, overworked, and underpaid workers in the economy. We directly challenged the economic recovery narrative that those who want to raise interest rates were trying to push. Our team had a big impact directly on some of the most influential policy makers in the Federal Reserve. Our team met with one of the leading voices calling for an interest rate hike, Esther George, the President of the Kansas City Fed for two hours, we voiced our concerns with Stanley Fischer, the Vice-Chair of the Federal Reserve, and Janet Yellen, the Fed Chair, publicly agreed to meet with us. Our action at Jackson Hole was only the beginning of a national conversation on monetary policy our coalition will demand. Our broader agenda is to advocate with the Federal Reserve to build an economy that works for all of us. 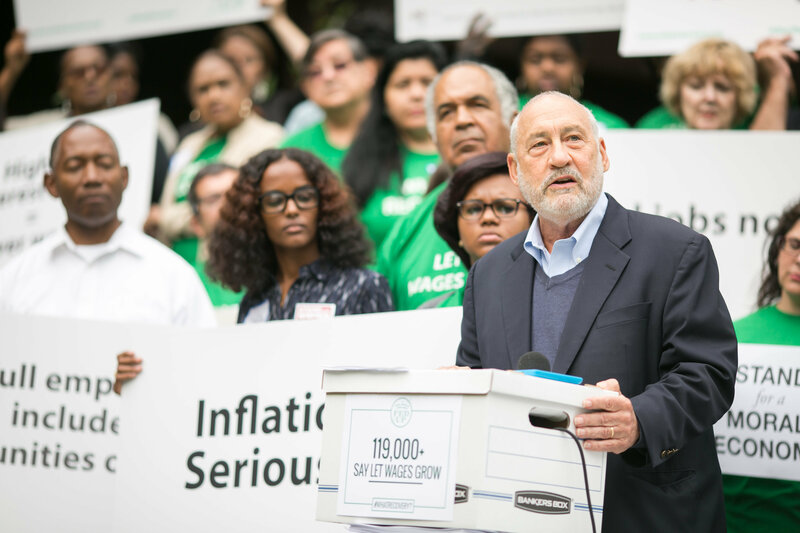 The millions of people represented in our campaign call on the Fed to adopt pro-worker policies for the rest of us: keep interest rates low, give the economy a fair chance to recover, and prioritize full employment and rising wages. 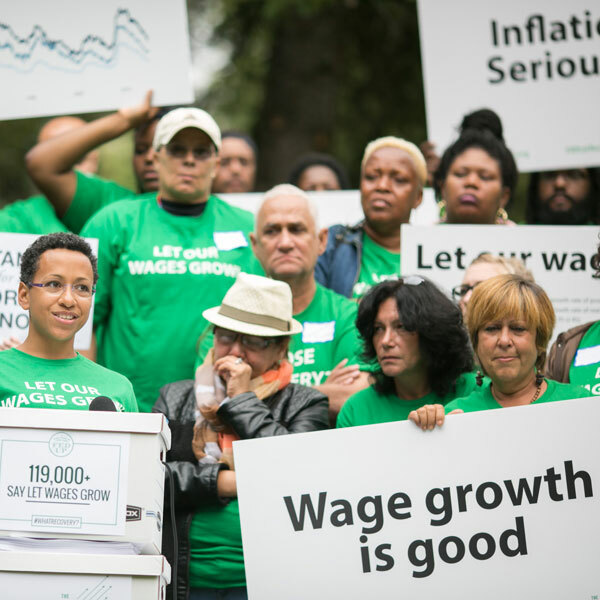 The millions of people represented in our campaign call on the Fed to adopt pro-worker policies for the rest of us: keep interest rates low, give the economy a fair chance to recover, and prioritize full employment and rising wages. In the longer run, the Fed should use regulatory powers and not higher interest rates as the primary tool to rein in speculative excess that leads to disastrous bubbles. The employment-to-population ratio of prime-age adults has recovered only a third of the decline from the pre–Great Recession labor market peak. We still have a huge jobs hole: Employment is still 6.6 million below what is needed to return to the labor market health that prevailed in December 2007. This labor market slack is due to a continued shortfall of aggregate demand. GDP in 2013 still fell 4.5 percent below estimates of potential GDP, and even this “output gap” is one that has improved in recent years not because of strong real-world economic growth, but simply because estimates of potential GDP have been marked down, essentially defining “economic recovery” downward. Slowing the recovery in the name of combatting hypothetical inflationary pressures would leave millions in considerable and unnecessary economic distress and would exacerbate troubling longer-term trends in wages and incomes for the vast majority of American workers and their families. Failure to lower long-term unemployment, currently a historically high 2.0 percent of the labor force, or bring back into employment the millions who have left or failed to enter the labor force means lost incomes and output and possible permanent scarring of those affected and of the economy. Given stagnant wages for most of the last four decades, cutting short the recovery means failing to restore broad-based wage growth, diminish poverty, lower inequality, and restore lost living standards. Achieving full recovery such as an unemployment rate of 4 percent would mean black unemployment would drop from over 11 percent now to a lower but still high unemployment rate of 7 percent. Nearly a third of young black men ages 20–24 are out of work and out of school, up from a fifth before the recession. Failure to dramatically reduce this non-employment will exclude this population from our economy in the future. Inflation, according to the Federal Reserve Board’s preferred measure, is running at 1.6 percent, below the target 2 percent rate, and has been below that 2 percent rate for most of the last six years. Federal Reserve Board staff expect inflation to remain below 2 percent over the next few years. 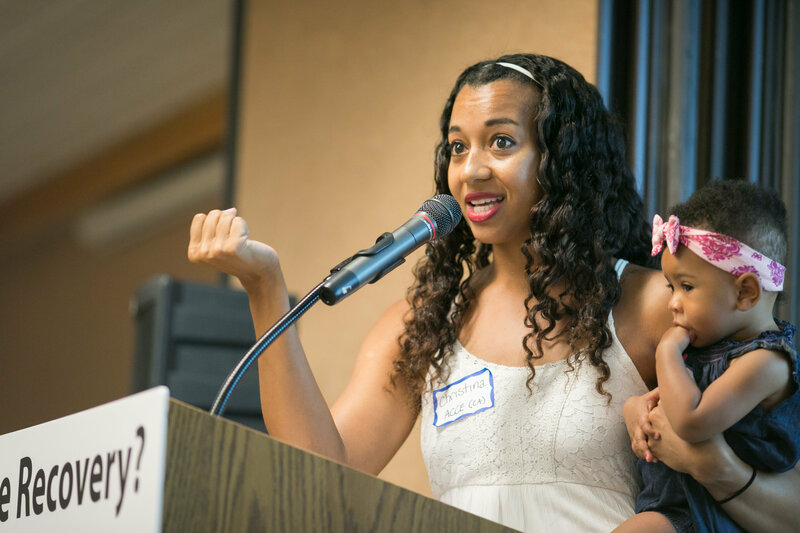 Through our ever-growing popular education library we hope to expand awareness of economic justice issues among low-income communities and communities of color. Each of the popular education modules featured here aim to tackle and highlight the interconnections between the various systemic issues that lead to economic racial inequality in the U.S. This is not a complete analysis of inequality but rather the beginning of an ongoing conversation which seeks to empower communities nationwide to influence the institutions that make some of the most impactful and obscure decisions that shape our lives. Click here to download presentations, access Spanish translations, and view our faciliator guides.